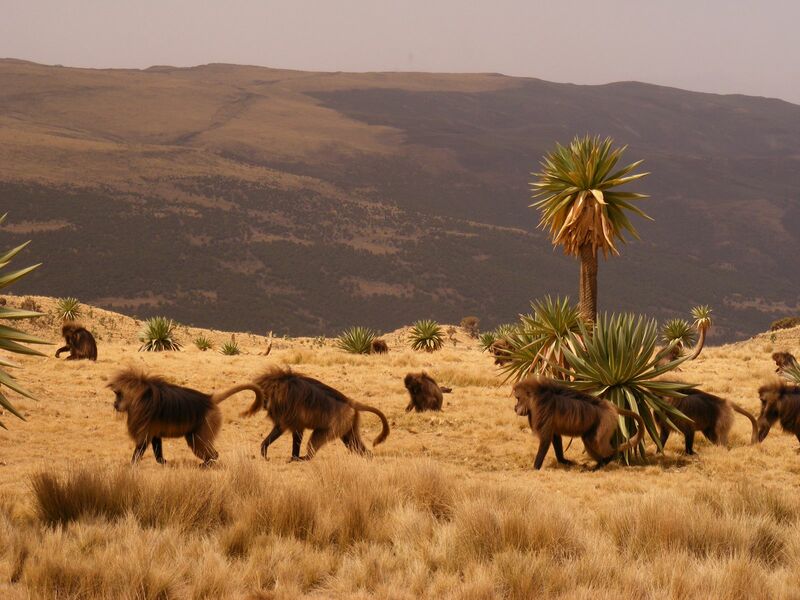 The national park is Ethiopia’s best for wildlife, and resident within its boundaries are three of Ethiopia’s endemic large mammals; the gelada baboon, Ethiopian wolf and Walia ibex. The baboons are the most common of the three, and the other two are both extremely rare. The Walia ibex is found only in this area of the world. Other mammals that are around include klipspringer and bushbuck, as well as spotted hyena and common jackal. For birds the park is relatively poor; Bale National Park is a much better place to go if this is your interest. There are, however, about 180 species found in the park and these are notably cliff-nesting birds of prey such as the lammergeyer, which are regularly seen floating high above the escarpment in the search for prey. The best reason for coming to this national park is to see the spectacular views; with viewpoints allowing a panoramic look at the surrounding country, and some incredible geography. 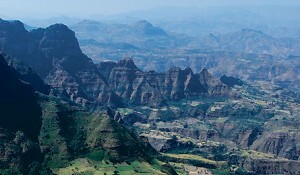 They are also notable for being the only mountain range in Africa which regularly has snow-topped caps; one must venture further than the foothills to observe it, however.